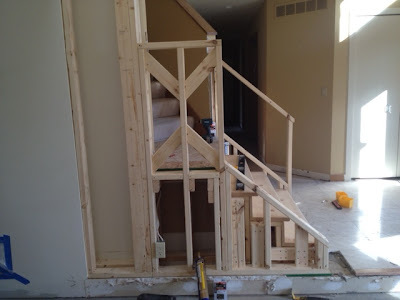 To help create an open feel, we are utilizing a custom glass rail system - exactly as planned! 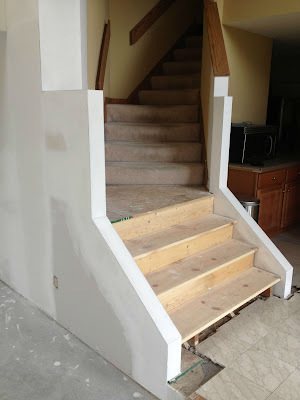 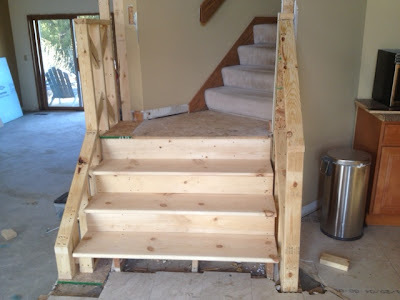 The side wall of the stairway is removed and the steps are widened. 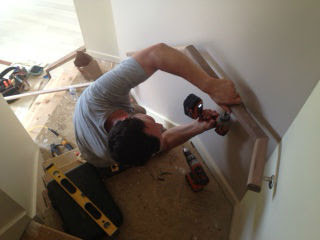 Tim is putting up the custom walnut handrail. 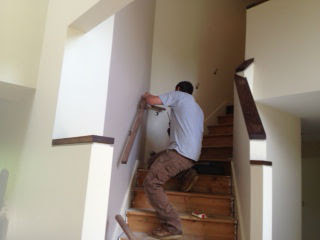 Drywall and edging complete, ready for walnut top with reveal.